Ryan Insulation is an experienced contractor offering attic insulation, injection foam, soundproofing, ice dam removal & prevention and more. We're also one of the only companies in Rochester that uses BPI certified installers! As a local insulation contractor in Rochester Minnesota, Ryan Insulation is you're number one source for all your project needs. No job is to big or to small. Our insulation crews can install insulation in your attic, exterior walls, interior walls, header joists, basement walls and vented crawlspaces. We carry different insulation products for different applications, including loosefill and blown-in insulation along with injection foam insulation. Our professional insulation experts can quickly test your home's current R-Value, locating potential energy wasting areas in your home that can be improved with new insulation. During our 30 year history we've serviced hundreds of homes, making them more energy efficient with quality insulation and proper installation. Insulation is one of the best and most cost effective ways to lower your energy bills while improving the comfort level of your home. Rochester has a recommended R-Value of R49 to R60 for attics and a recommended R-Value of R30 to R60 for cathedral ceilings. If you need your home's R-Values checked give us a call today. With our free estimates it's easy to discover where your home sits for energy efficiency. We utilize a variety of insulation products to bring about the best possible results for our clients. Traditional products like Owens Corning Insulation (the pink insulation) have been improved through today's green insulation technologies. 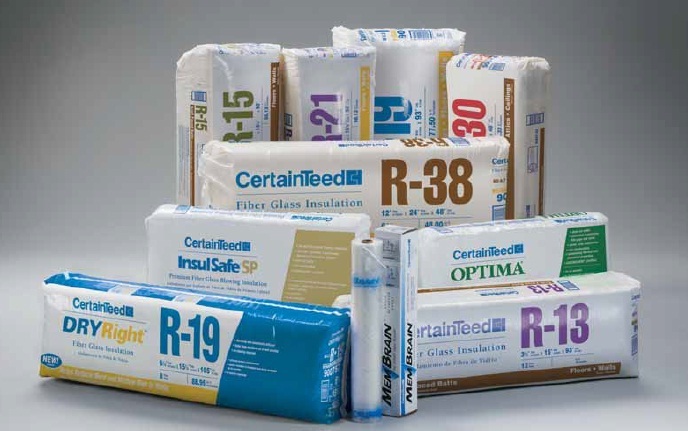 We also use CertainTeed's fiberglass insulation like InsulSafe SP and other high ranking R-Value Insulation products. We also offer other services that use insulation, including soundproofing, ice dam prevention and removal, insulation replacement and R-Value Checkups. As one of Rochester's highest rated contractors you can trust Ryan Insulation to get the job done right the first time.